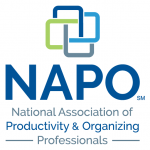 I asked my NAPO organizing colleagues what they thought we should keep even if it does not particularly spark joy. Their suggestions fell into four main categories. These are just examples, not an exhaustive list. Disclaimer: The basic rules of organizing still apply! Don’t keep things just because you paid good money for them or you might need them someday and can’t decide what’s worth worrying about. And don’t let your containers overflow! I say (and to be fair, I’ve heard Ms. Kondo does too, finally, in her second book) that it’s OK to keep something if it serves you well and sparks gratitude when it comes in handy. No need for downright joy all the time. This is also how I justify keeping certain tasks on my to-do list, and why I love chores. Not everything is joyful, or fun. But it had better be worthwhile if I’m keeping it! But wait – what if some of these utilitarian items could, indeed, spark joy? Clearly not everyone feels the same way about every item. Divorce papers, for example can represent heartache for one person, or freedom and relief – even joy – for another. And some items spark joy only when actually being used to save the day, such as the toilet plunger, or only a few times a year, such as holiday decorations. But sometimes we keep things that are barely serviceable or ugly. Why? What is the point of keeping a first aid kit that is not well stocked? Or a shovel whose handle keeps coming off? I, for one, am very particular about my trash bags. I cannot stand drawstrings, or flap-ties, or twist ties. Ugh! Give me handle ties and I’m a happy — joyful? — girl! Think about the things you use or wear every day: A pen. A mug. A bra. A cutting board. I say the more often we use, or wear, or look at something, the better candidate it is for upgrading. Buy the best. Forget the rest. I recently upgraded my eyeglasses to the point where I can honestly say they spark joy! Come to think of it, it might be time to go buy some new dishtowels. I use them daily and they’re getting ratty. What are you keeping that does not spark joy, and why? Are you grateful for it, at least? Does it need to be upgraded? Digitizing your photos (the ones you love) is a great idea, especially if you want to make a movie out of them! Google “using camera to scan photos” for tips on how to decide between using your camera or a scanner. And then, make sure you back them up! My telephone does not spark joy, because most of the calls I get are from telemarketers, scammers, and fundraisers. Most clients, friends and family contact me by email, text or social media. But I have to have a phone! I’m thinking of scrapping my landline so I only have one phone instead of two – at least on my iPhone I can easily block callers, and if the caller is in my address book, their name will come up on the display even if they wouldn’t on my regular phone. Thanks for the tips, Hazel! Nomorobo.com sounds good but I wonder if it works in Canada. It is interesting the things we think we need to keep. 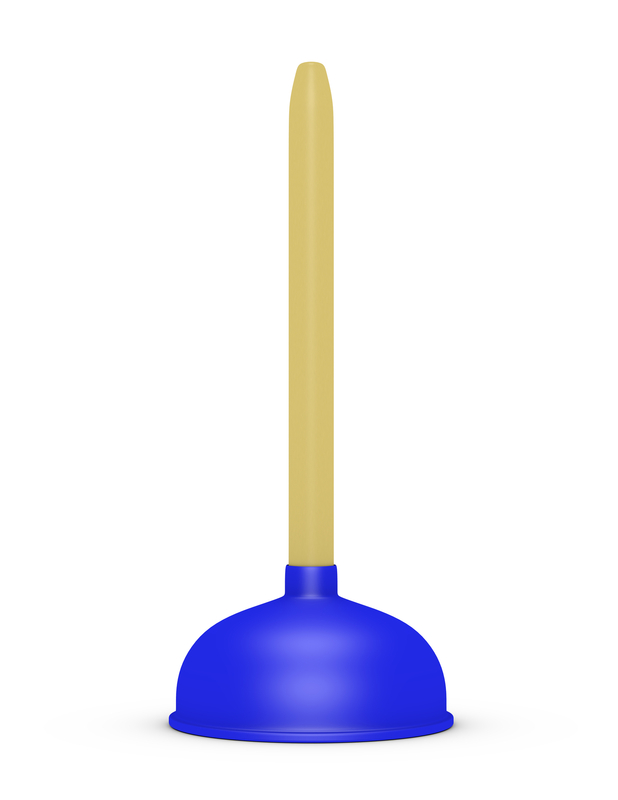 As a minimalist, I have never owned a toilet plunger and have very few holiday decorations. I will say that if there is something that you need to keep that doesn’t spark joy, find the version that is just right for you and you will at least experience contentment. I was interested to see what we all came up with. I thought it was funny that plunger kept coming up again and again. I agree that to have the tool you need can be a positive moment, even if not joyful. I loved this hazel! But then again I love your writing. I did a post once asking the question does your stuff matter?” No matter where it is useful, special, significant or fundamental, it just had to matter. But I truly like how you discuss the difference! Thanks, Leslie! Some things matter more than others, but yeah, the things that don’t matter are prime candidates for purging! So I recently attended one of those home parties for cleaning supplies. As you often feel obligated to order something, I purchased a tub of cleaning paste. Who knew it would spark a bit of joy?! My stainless steel appliances never looked so good, it’s safer for my son as it’s non toxic and I feel like I’m doing Mother Nature a favor as its made with all natural ingredients. A joyful win all around! Great example of a utilitarian item sparking joy! It’s kind of like gratitude — the more we look for it, the more we find it. Yes? Thanks, Sarah. This is so funny and so true – of course, not everything we own is going to spark joy. There are many things we need to keep that we do not love. Someone said there can be certain areas like clothing, home furnishings, etc. where we would like to think about “does this item spark joy” or “do I love this”? Great post and so true on many levels! Thanks for always bringing thoughtful and fun posts each week! Thanks for the comment, and for the compliment, Liana! I think it’s something we can strive for, or at least feel lucky about sometimes, that everyday utilitarian items CAN spark joy too. Loved all the ideas that came from our colleagues! It’s one more way to discern what to keep and bring a smile too! It was fun! Thanks for playing, Regina! I’d say that if your holiday decorations don’t spark joy, get rid of them! What is the point of decorating your house with something you don’t really love? Hi Jasmin, I agree with your statement. But… that’s not what the people who offered up holiday decorations as an example meant. They meant that they only spark joy when being used, and do not spark joy (for them) when not being used, which is most of the year. There may have been a better way for me to say it, but, to be fair, I did say, “…some items spark joy only when actually being used to save the day, such as the toilet plunger, or only a few times a year, such as holiday decorations.” I do think that even if the category of holiday decorations does spark joy, there are almost always items in the category which do not, which are definitely candidates for purging! 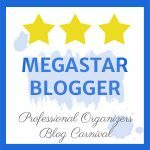 Thanks for linking your post to mine! So, my Christmas tree (which is actually a branch hanging from the ceiling) is only just coming down this weekend. I am only inspired to put up the Christmas branch and use my ornaments every couple of years. But when I do I feel so joyful that I, well, might only be taking it down in April. I’m taking it down now because it has ceased to take my breath away every time I look at it. But in two years it will do it again. So I’m happy to keep those three boxes that only seldom come out. I do think that things we do routinely can become drudgery even if they were initially joyful. Nothing wrong with rotating decorations or taking a year off once in awhile! And, I agree! Not everything is going to make you feel warm and fuzzy 365 days a year. If I come across one of those items (that hasn’t already been mentioned), I’ll have to come back and share. I find that my definition of joy has changed over the years. For example, I found myself doing a little dance for my aunt to show her how much I liked our new cat box scoop. I mean, it is really well designed. And I’ve been wanting to write an ode to my crockpot for some time. I hear ya. I hate housework, but my new-ish vacuum cleaner brings me far more joy than the old one did! I particularly like useful items that are beautiful. Like my little stork shaped sewing scissors and my ceramic flour and sugar containers.